This week’s theme is windows. 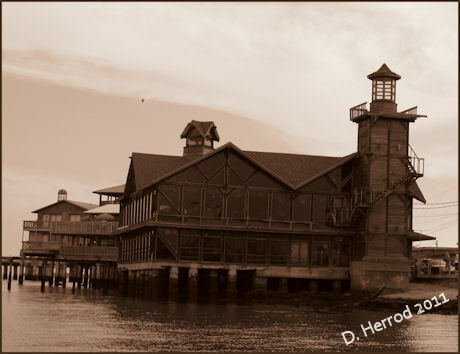 I took this shot of the abandoned Sea Breeze restaurant in Cedar Key, Florida as our boat was pulling up to the dock. That is one beautiful photo..the monotone effect added a dramatic effect. Thanks. Thanks I enjoy taking pictures using either sepia or BW for effect.